EBU tells Israel there is no problem with holding song competition in Jerusalem, provided venue is chosen in organized tender. The Israeli government has decided not to get involved in the process of selecting which Israeli city will host the Eurovision Song Contest in 2019 and will not insist that the competition be held in Jerusalem, Channel 20 reported on Sunday. According to the report, a conference call on the issue was held this past Friday between Prime Minister Binyamin Netanyahu, Finance Minister Moshe Kahlon, Communications Minister Ayoob Kara, Attorney General Avichai Mandelblit and a representative from the Israel Public Broadcasting Corporation, Kan. Culture and Sport Minister Miri Regev did not participate in the conversation. 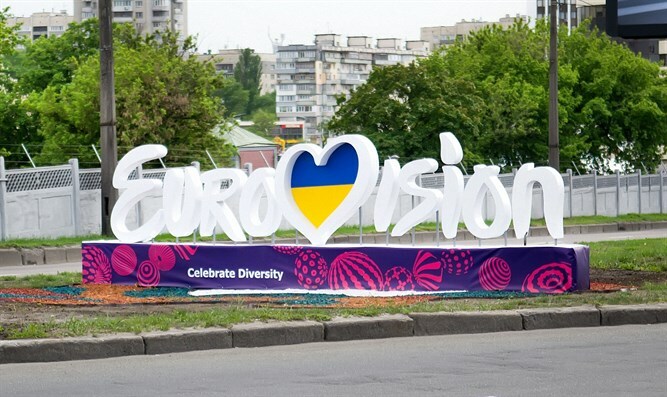 The parties reportedly agreed that the government will not interfere in the process of selection the city that will host the 2019 Eurovision Song Contest. Earlier, the European Broadcasting Union (EBU) informed Israel that from its point of view there was no problem with holding the competition in Jerusalem, but demanded that the venue be chosen through an organized tender. Kan’s representatives are expected to meet with EBU members next week, and will show them four presentations by the cities that submitted bids in the tender: Tel Aviv, Haifa, Eilat and Jerusalem. Israel won the 2018 contest, which took place in Lisbon on May 19, with the song “Toy” sung by Netta Barzilai. Contest rules state that the winning country hosts the following year’s contest but the winning state can waive the right, as Israel did when it won for the second time in two years in 1979. At the time the waiver was used for economic reasons, as Israel's leaders cited the cost of producing such an event two years in a row. Israel also hosted Eurovision in 1999 after winning the contest in 1998. Regev had threatened, according to those reports, that if the Eurovision contest is not held in Jerusalem, she will work to ensure that it is not held in Israel altogether.